India is becoming an important destination for Google, and this has once again been proven by the downloads on the Google Play Store. 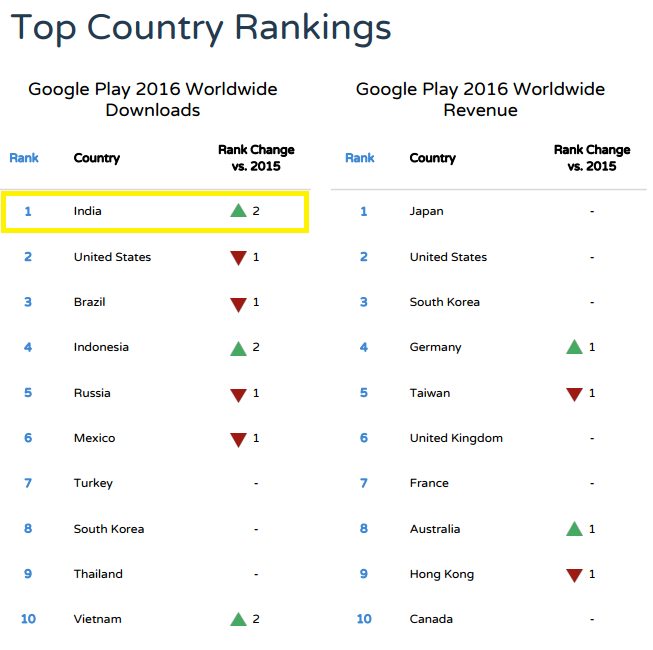 India has pipped the US in the leaderboard of the most downloads on the Play Store. Registering 6 billion downloads in 2016, India’s download history has grown massively. 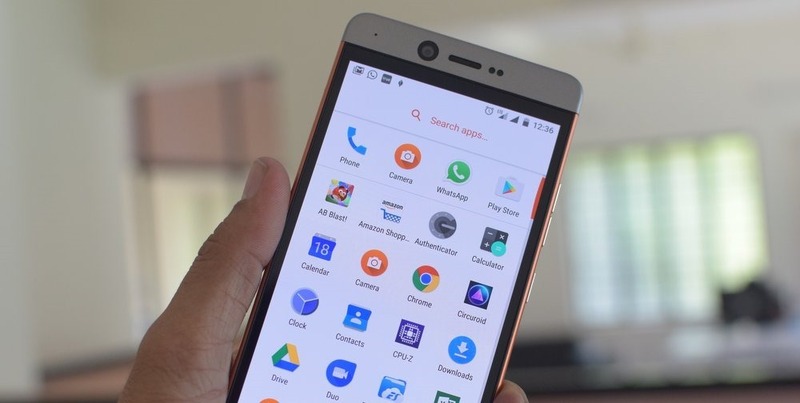 According to a report by App Annie, a California-based business intelligence company, India grew a monstrous 72% from 3.5 billion downloads in 2015, considering the smartphone penetration is just 30%. “We’re seeing major indications of this shift globally. 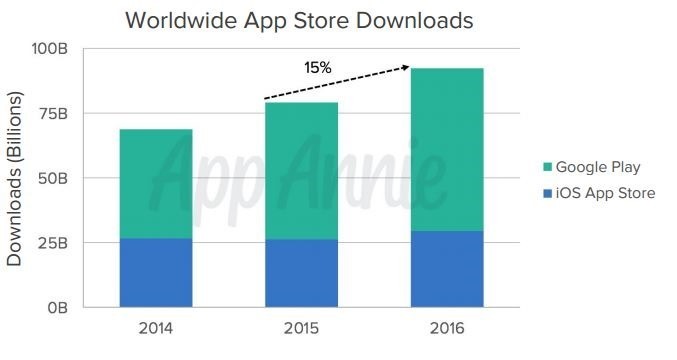 App adoption is growing rapidly in emerging markets including India and Indonesia while mature markets are seeing apps challenge and change traditional industries including retail, entertainment, and banking,” App Annie Senior Vice President Research Danielle Levitas said. 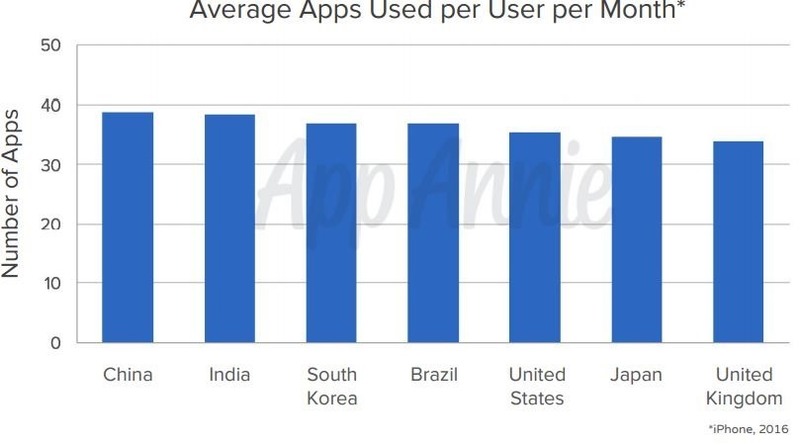 India also comes second on the list of the average number of apps used per month. China leads the pack with 38 apps, India trails at 37, South Korea and Brazil tie at 36 and United states at fifth with 35. Interestingly Japan and the UK fare sixth and seventh on the list. This just shows the potential India has, and how much the digital economy has been pushing for the smartphone era. As the smartphone industry matures and we get more inexpensive and reliable smartphones, such statistics will improve even further, taking India to the top in all categories. The total app downloads, including only Google Play Store and Apple App Store, grew 15% in 2016 over 2015. The number of apps downloaded in 2016 stood at about 91 billion, with Google Play Store capturing about 70% of the share. The same number for 2015 was around 79 billion. Time spent in apps grew more than 20 percent to nearly 900 billion hours in 2016, according to the year-end report. This can also be testified if you just look around and you see people on their smartphones all the time. The platform owners paid out nearly $89 billion in revenues to publishers from in-app ads and app store revenue, up 40% from the year before. That means apps generated $127 billion in revenues overall, as platform owners take about 30 percent of the revenue. The top five apps by downloads on iOS and Google play were Facebook, WhatsApp Messenger, Facebook Messenger, Instagram, and Snapchat. The five top games by downloads were Pokémon Go, Piano Tiles 2, Subway Surfers, Slither.io, and Clash Royale. The top five apps by revenue were Spotify, Line, Netflix, Tinder, and HBO Now. The top five games by revenue were Monster Strike, Clash of Clans, Pokémon Go, Game of War: Fire Age, and Clash Royale. Social media still rules the downloads and has been on the top for quite some time because of the ease of connecting. Unfortunately, some of these apps like Spotify are not available in India, but their counterparts like Saavn, Wynk Music, and others have already gained popularity. As India becomes a huge market, we hope certain companies of the US realize the importance and the role we can play in their business. Netflix, Amazon Prime Video, and even Tinder are great examples of apps built for the US making their way to our country. "India Beats US in Google Play Store Downloads; 6 Billion Apps were Downloaded in 2016! ", 5 out of 5 based on 2 ratings. Airtel Upgrades its Network to ‘Dual Carrier’ Technology in Delhi-NCR To Bring 4G Speeds On 3G!